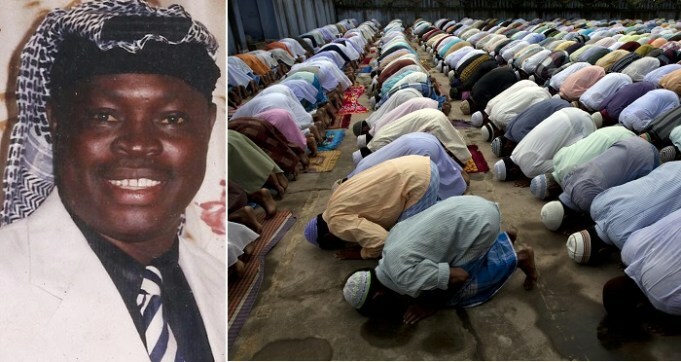 In a statement signed by the Director of the Muslim Rights Concern, MURIC, Prof. Ishaq Akintola, the group revealed that for Nigerian Muslims to feel a sense of belonging, the Federal Government must close the gap between Christians and Muslims. “As usual and since colonial days into Nigeria’s post-independence period, the Federal Government declared today, 1st January 2018, as a public holiday. The Muslim Rights Concern (MURIC) observes that today’s holiday fully consolidated the two-day Christmas holiday and enabled Nigerian Christians to kick off the 2018 Christo-Western Gregorian calendar. However, conscious Nigerian Muslims, particularly stakeholders in the welfare of Muslims as well as the growth and development of Islam in Nigeria, approached today’s holiday with mixed feelings. Our feeling of marginalization arises from the reality of the Nigerian situation which has conditioned Muslims in the country for religious segregation and subjected them to spiritual apartheid. Here we are today, enjoying January 1st holiday which was declared by the Federal Government (FG) of Nigeria in recognition of the Christo-Western Gregorian calendar. But the same FG which recognizes this Christian calendar is yet to declare 1st Muharram a public holiday in recognition of the Islamic calendar despite several petitions and appeals to it dating back to the 60s. Surprisingly, some people still complain that Nigeria is Islamised! Why is FG granting holiday for a false god of Rome and denying same for Allah the Creator of all things (Qur’an 2:29), the Judge of all Judges (95:8), Master of all masters (51:58) and the King of Kings (3:26). Research reveals that 1st January is in honour of Janus, the Roman god of gates whom the Romans believed protected them from invasions. This is an incontrovertible fact. Why should FG force us to idolize the false god of Rome?